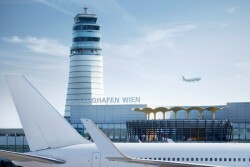 Vienna Airport: The core shareholder appeals against the result of the positive environmental impact assessment. According to the City of Vienna, this is only due to formal reasons. The City of Vienna announced to oppose to the positive environmental impact assessment in order to secure its party rights. Moreover, the City explained that noise should be avoided as good as possible. Nevertheless, Vienna still supports the construction project. Thus, there will be no basic appeal against the project.